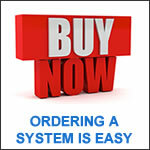 At EposSystems.Com we are specialists in the supply, installation and support of EPoS Systems. Electronic Point of Sale (EPoS) Systems are specialist business computer systems used by shops and restaurants for the main purposes of processing sales transactions, printing customer receipts, controlling stock, tracking payments and producing management and accounting reports. EPoS systems also provide a wide range of other functions depending on your type of business. They provide much greater efficiency, accuracy and control than paper-based systems and superior functionality to conventional cash registers. 1. How much does an EPoS system cost? Generally, our minimum system cost for a full size 15" touch screen till system package starts from £995 per terminal package which includes a cash drawer and thermal receipt printer and epos software. All equipment is brand new, branded and has a 3 year warranty. There are NO ongoing license fees to ever pay on the standard epos software, and no internet connection is needed thus making the system much faster, more secure and 100% under your control. A Service Pack includes the professional services you need to implement the system, and this costs an additional £175 for most systems. It is currently on Special Offer for New Year 2019 and included FREE with all new systems upto 11th January 2019. The Service Pack includes initial programming of the system with your business information and products / services, remote staff training to operate and manage the system, and annual support. It is charged per site, regardless of the number of terminals/tablets. 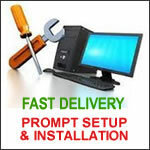 On-site installation and training at your premises is also optionally available at an extra cost. All our package prices, optional peripherals, and service fees are listed on their respective product pages of our website. Click on one of the categories on the right to see the different packages and their prices. We can offer discounts for multiple terminals and branches - please Contact Us for an instant quote. 2. Can I pay for the EPoS system in monthly instalments? 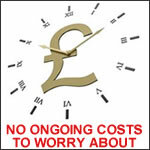 Our prices are very affordable so most of our customers prefer to pay in full at the outset. We accept payment by bank transfer (Online Banking, BACS, CHAPS, Pingit), a UK Cheque (allow 7 working days for clearance), or payment by Credit or Debit Card (Visa or Mastercard). For international orders from outside the UK, payment is only accepted by wire transfer. 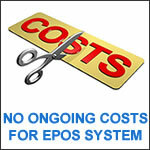 Some epos system providers do offer ongoing 'pay weekly' or 'pay monthly' schemes for purchase of an EPoS System, or cloud-based systems with monthly / annual fees, but be aware of unbranded / rebadged / imported equipment and the True Cost of Pay Weekly / Monthly EPoS Systems and also beware of ongoing software licence fees - the cost over time can be significant. With outright initial purchase, you get a brand new top-brand system and you permanently own the equipment and software license so there is no need to pay ongoing software license or mandatory maintenance contract fees to continue using the system, and your programs / data are at your premises, not on someone else's server elsewhere. If you wish to fund your system purchase through your own leasing company, please let us know at the outset when requesting a quote. Provided your finance company is on our approved list, we will co-ordinate sytem delivery and payment with them. 3. How long does it take to install an EPoS system? On our popular systems like the Q5 package, this is usually shipped out for delivery within UK mainland within 2-5 working days. 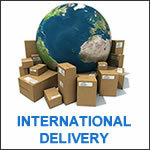 An Express Next Working Day delivery service is optionally available. Other systems can take upto 14 days to despatch if they require pre-configuration or if non-standard peripherals or 3rd party modules have been ordered. Standard programming and training is carried out within our work schedule and usually scheduled and completed within 2-3 working days of our receiving back the fully completed Programming Form with your food/drinks menu or main products list. If your requirements are more advanced or you have a large number of products / services, then more time will need to be allowed. If you want to get an idea of total programming cost and timescale beforehand, please contact us to send your menu and/or products list, with details of your specific requirements and we will issue you with an estimate. Where an order includes Wireless Waiter Tablets or WiFi Kitchen Printer, these can take 7-10 days to despatch as they require pre-configuration work to be scheduled and completed first. With the Web Ordering System for food delivery businesses, please allow 3-4 weeks for your online ordering portal and customised mobile apps to be designed and implemented. You will also need to allow time to set up your merchant account for card payment processing, which typically takes around 2 weeks once you have sent the required ID documents. We recommend you order a system at least 2-3 weeks before the requirement date as you will also need to allow further time for you and your staff to become familiar with the system and to load on any barcodes, prices and stock levels. In exceptional cases, we can prepare systems in shorter timescales but this may be subject to payment of a premium to cover additional staff overtime costs. Alternatively, you may opt to hire a basic cash register for interim use. Most of our customers simply place the epos system components on their point-of-sale counter, optionally screwing down the cash drawer and terminal base plate. But if you are customising your point-of-sale counter for specialist fitting / mounting of the EPoS System components (eg. cash drawer, barcode scanner, card payment terminal, touch screen etc) or running network cabling through your premises, then we will need to liase with your electrician or project manager beforehand. We advise you not to commence any till-related carpentry or similar work until you physically receive the equipment, as the manufacturers stated dimensions do not always state the measurements for rubber feet, protruding cables and air circulation. Please note: If you have booked on-site set up and training, our consultant will connect the system components and run cables tidily, but we do not perform any drilling, cutting, trunking or other form of carpentry/electrical wiring work - you will need to contract a professional tradesman for those tasks. 4. Who will program the EPoS system with my data? We will send you our Programming Form to complete and return. It is divided into Basic sections and Advanced sections. Basic Programming is suited to most requirements and the cost is covered within the Service Pack. On completion of our form, we will configure the system with your personalised details and your products, services and prices. We can also enable and configure other functions such as staff timekeeping, discounts, meal deals and mix & match promotions. If you will be using stock control, the opening stock levels, minimum stock levels and re-ordering information may also need to be entered as well as your suppliers details. Prior to use, all POS systems need to be configured with your business information before they can be operated. This may include header and footer information to be printed on the sales receipt or sales invoice, your company logo, staff names, product categories (or departments) and each individual product line, the applicable tax rate for each product / service, food / drink item and any services you provide. Other operating parameters and system options may also need to be configured to suit your operating requirements. For retail operations, we can automatically import a list of products with barcode numbers, descriptions and prices from your supplier if they can provide a compatible file. Alternatively we can set up just the product database infrastructure, ready for you to load all your products individually. Advanced programming is charged at an hourly rate and will be quoted for once we receive the completed Programming Form with details of your specific requirements. If you want to get an idea of total programming cost and timescale beforehand, please contact us to send us your menu and products list, with details of your requirements and we will issue you with an estimate. For some types of business (eg. convenience stores, supermarkets) we have a standard database available with the most popular British consumer products with their barcodes and descriptions (eg. Coca Cola 330ml can, Volvic 1.5l Still Water etc). This can optionally be supplied to you for £75. However, you will still need to specify your own selling prices and opening stock levels. 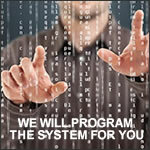 We recommend you use our Basic Programming Service as a minimum so that your system is delivered in a useable form. Many sophisticated systems cannot be self-programmed if you have not had professional training on the software. Basic Programming is limited to setup of the first 100 products / variations only on the SPS500 / SPS2200 systems, the first 200 products / variations on other systems and configuration of the functions listed at sections 1-10 of our programming form. Additional product setup, advanced functions or importing of spreadsheets will incur additional cost, which we will quote once we receive the details of your products list. 5. Will we receive training on usage of the EPoS system? Yes, all the systems we supply offer remote training as a minimum as part of the Service Pack. 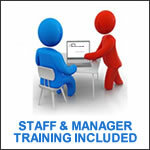 On-site training is also available for your staff and the management. We cover all of the UK, rest of Europe, Middle East and Africa. Training of your staff and management team is essential to help avoid mistakes and for you to gain the maximum benefits from all the different features of the POS system. Trained staff will be more confident in the use of the system, and you will start to benefit from the systems features much earlier. We provide training both in the use of the system and in ongoing programming changes and amendments, for example, if you are adding items to your menu, changing prices, setting up new staff members etc. We will agree the training agenda with you prior to installation, covering all the different functions you want your staff and managers to be familiar with. We provide training on operational use of the system for start of day and end of day tasks, running reports and performing all the different types of sales / refund transactions you will come across in day to day usage. We also provide training for management on how to make programming changes to the system, such as adding new products, changing prices, adding staff login details and updating other reference information. We will issue you a Training Agenda prior to the training date and a form to complete for each member of staff. This allows us to adapt the training to meet your particular business objectives and operating procedures, taking into account the skills and experience of each member of staff. On most of our systems, Staff Training is essential if you do not have an owner / manager who is already fully familiar with the particular EPoS system and software. Mandatory training cannot be waived if, for example, you have a family member or a friend who is an "IT Wizard" and "knows all about computers". The training does not cover IT or general computing issues - it covers the specialist functions of the particular epos software and hardware by an expert EPoS Systems Consultant as customised for your particular business needs. Any English documentation supplied with epos systems is only a summary reference guide, it is not a step-by-step tutorial and that is why expert training is necessary to supplement it, and the training has to be customised for your particular type of business and your internal procedures. 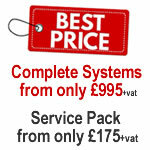 If your system purchase includes a Service Pack, then training will be included. Otherwise if you wish to purchase separately, remote training costs £85 per hour and 1.5 - 2 hours is sufficient for most of our systems. On-site training sessions start from £325 for a half-day (3.5 hours) session and £495 for a full-day (6 hour) session. The trainer's reasonable travel expenses are payable for on-site installation and training. 6. What if something goes wrong with the EPoS system? The hardware systems we supply have been carefully chosen from leading manufacturers for their quality and durability so they are designed to give you years of trouble free usage. All hardware we supply is covered by the manufacturers return-to-base warranty as a minimum, which is normally 3 years on SAM4S products and 1 or 2 years on other equipment - check the equipment profile on our website. In the unlikely event that something does break down due to manufacturing defect or operating failure, it will be repaired or replaced under warranty. However, physical damage, unauthorised tampering, misuse and liquid damage is not covered. After the warranty period or for non-warranty issues, equipment can still be replaced or repaired subject to standard parts and labour charge and any shipping / call-out charges. The standard warranty is a Return to Base warranty where equipment diagnosed as faulty will need to be returned to our UK service location by you on receipt of a Returns Authorisation Number. 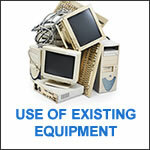 We will cover the cost of returning repaired / replaced equipment to you in the UK. Outside the UK, you will need to pay the shipping costs for return of equipment too. Typically warranty repairs can take 3-5 working days for turnaround. On-site Warranty Service or a 48-hour Swap Out Service is optionally available - please contact us with your address and equipment details for a quote on this service. Loan equipment may be hired for the duration of any repair, subject to delivery charges and stock availability. You are responsible for backup of your data on a daily basis to reliable media and to test the backup frequently. Data recovery or re-programming is not covered under the warranty so it is essential you backup your data and the programs to avoid incurring service charges. The backup procedure is covered during training and email step-by-step instructions are also available on request. 7. What if I have any queries using the EPoS software? A Level One Support Subscription is provided as part of the Service Pack FOR THE FIRST 12 MONTHS. We provide support during our weekday office hours by telephone, remote internet connection (where available on your system) and by email. The Level One service operates on a queuing system basis . There is optional higher level subscriptions Level Two, Three and Four which provide extended hours, fixed response times, on-site visits and out-of-hours support. If you do not book training or programming, then technical support is still available for 1 year but by email and remote access only. All support calls are made to our standard landline London telephone number - we do not use premium rate lines. 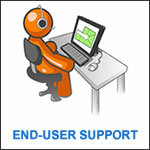 All our support staff are in London, UK - we do not contract support to overseas call centres. Calls are logged and then responded to within the scope of a queuing system. If you opt to renew a Level One Support Subscription after the initial free 12 month period then it will cost only £25 per month per site, payable annually. In our experience, most users have queries during the first few of days of implementation as they master the various features of the software. As our systems are stable and easy to use, we receive very little demand for support beyond the implementation period so we do not make it mandatory to pay for support continuously and indefinitely - it is entirely optional. Ad-Hoc support is available to purchase where there is no subscription in place. 8. Will I receive program upgrades? 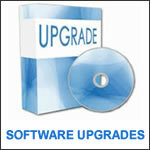 The program upgrade policy varies depending on the particular software vendor. Please ask us about the policy for your intended software package. With the rom-based systems such as the SPS500 and SPS2000 / SPS2200, there are no future program upgrades included. The latest version of the program, available at the time you order, will be pre-installed onto the terminal before being delivered to you. With some of the Windows-based EPoS software we supply, future program upgrades are issued free if you have a support subscription in place. Without a subscription, if you specifically require the new features of a program upgrade you will need to purchase the upgrade separately. As the systems we supply are stable, tested, universally used and well established, many of our users are satisfied with the delivered version of the system and do not have requirements for future software upgrades. We suggest you carefully define your current and foreseeable requirements at the outset and then choose a system which meets those needs, rather than having to rely on future program upgrades. Providers who need to issue regular program upgrades are usually indicative of bug-ridden software or incomplete functionality. Stable, reliable software with comprehensive functions does not require frequent program upgrades. 9. What is the lifespan of the system? All of our packaged epos systems are carefully selected using products from world-class manufacturers. 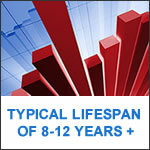 Under normal use, we expect a typical lifespan of at least 8-12 years and beyond. Obviously if equipment is subject to physical abuse, unauthorised tampering, liquid damage or exposure to excessive heat or dirt, or poor preventative maintenance, then the life time will be reduced. 10. Can I link the EPoS software with my accounts package? If you wish to post across transactions into your accounts software, such as Sage or Quickbooks, then you can either export the report data into a spreadsheet and then manipulate the spreadsheet to the required format to import into your accounts package. Or, with some of our EPoS packages, an optional Sage Interface module is separately available to purchase which produces a compatible import file. However, an interface isnt necessarily required in most cases. Epos software provides a wide range of built-in sales ledger facilities and reports, including management reports, financial reports, vat reports and sales analysis reports. So it is not usually necessary to duplicately transfer every single transaction or line item into a separate accounts package too. Most businesses simply transfer periodic totals (net sales and vat) to their main accounts software by manual key entry, this can be done daily, weekly, monthly or quarterly. The summary entry can either be a total or it can be sub-totals broken down by Nominal Code / Department. 11. Will I be able to use my own equipment with the new EPoS system? If you have existing equipment such as cash drawer, receipt printer, barcode scanner etc that you wish to use then you may use that if the specification is compatible. We can usually advise compatibility- Check Here for what details are required to advise compatibility. As your existing equipment is not provided by us, we will charge on an hourly basis if our time is required to test the functioning and compatibility of your equipment, configure it to work with the new EPoS system and to provide any ongoing support related to it, either remotely or on site. The charge for remote support is £75+vat per hour, with a minimum 30-minute charge per requirement and then charged in 15 minute increments. On-site call out would incur additional charges. There is a minimum charge of £35 where we are required to connect and configure your existing peripheral(s) to the new EPoS system. This covers upto 30 minutes. In most cases, it is more economical to purchase all equipment from us and we can therefore guarantee compatibility, connect the equipment as part of our on-site installation service, provide a full manufacturers warranty and we can take responsibility for all configuration and ongoing support within the annual support subscription and the manufacturers warranty. NETWORK CABLING: If you are networking multiple terminals or connecting remote printers, then you may use your existing CAT5 cabling with the new system provided of course it has been tested to work reliably and the cables are properly terminated with RJ45 plugs / sockets. The same applies to your network Router / Switch / Hub (with the exception of the Samstock Back Office software which will only work remotely with a specific model of Planet or Draytek Router). 12. Are there any ongoing costs? If you purchase the system outright, there are NO mandatory ongoing costs with any of our EPoS system packages - you pay once and the hardware and EPoS software license is yours indefinitely. There are no ongoing monthly or quarterly license fees to continue using the EPoS system and EPoS software. If you purchase through the Lease Finance option, then obviously you will have to keep up the monthly payments to the finance company for the agreed term. But note the Exceptions below for some of the optional 3rd Party products or modules. For some optional 3rd party products which may be used alongside the main epos system, there are ongoing costs. 1. If you purchase the optional Postcode Anywhere service for or use with our Q5 Food Delivery system, then you will need to renew the Regional License Annual Subscription to use this facility each year when adding new customers to the database (otherwise you can key in the full address for new customers manually). 2. If you purchase the Newspaper Round Software then the monthly or annual subscription for that module is payable to the software vendor each year and that covers the publication updates, price changes and application hosting. 3. If you opted for the Integrated Card Payment Processing module, then you will need to pay the monthly gateway fee to the service provider and transaction charges to the merchant account provider as agreed in your contract with them. 4. 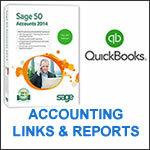 The optional SamTouchOffice web-based back office system has an annual fee of £150 per terminal per annum. 5. The optional Mobo2go Online Food Ordering System costs £85 per month. If you require technical support on your software beyond the first year, then you can optionally subscribe to one of our paid service subscriptions. These start from £25 per month per site, payable annually. Alternatively, you can pay for ad-hoc services such as additional traning or support as and when required at our standard support rates. Regardless of a support subscription, your hardware is always covered for the full duration of the warranty. This is 3 years on Sam4s equipment, and 1 or 2 years on other brand equipment (check the product profile page on our website). 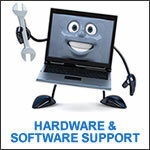 We will be the first point of contact for assisting with any hardware faults and warranty claims. You will obviously need to allow for ongoing purchase of consumables (eg. receipt printer rolls, credit card machine rolls, ink ribbons for kitchen printers) which you can purchase from us or anywhere else. All our equipment uses universal type and sizes of consumables that are widely available. These can be purchased from us or your local stationery supplier. 13. What about credit card processing? There are 2 options. You can either use any stand-alone card payment terminal alongside any of our epos systems, or alternatively (with some of our specific epos systems in the UK) you can take out a subscription for an integrated card payment terminal. With your own stand-alone card payment terminal, you will simply need to key the transaction amount onto the payment terminal and then, once the transaction is authorised, press "paid by card" on the epos system. With an integrated card payment terminal, the epos system will automate entry of the amount - the cardholder simply needs to confirm the amount and use Contactless, ApplePay, AndroidPay or key-in their pin number on the secure pin pad that is connected to the system. If you wish to go for the integrated card payment solution, then on our Windows-based Touch solutions (Q5, T3000, V4000) you can add an integrated credit card processing module in the UK. You will need to apply to set up a new merchant account, via ourselves to Payment Sense or 3R Telecom, depending on which system it is to integrate with. 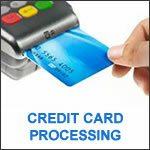 The merchant account provider charge its usual card payment processing fees. Typically most banks charge around 1% commission per transaction plus a monthly gateway fee. The subscription is usually for 3 years and can be terminated thereafter with 1 months notice. Integration is only available with a wired terminal, except for the PayAtTable option via Payment Sense. In nearly all cases, you will need to setup a new merchant account for use with the EPOS System through ourselves and be provided with a compatible payment terminal with the appropriate software preloaded. If you use an existing merchant account or do not set up a merchant account through ourselves, then support fees will apply if you require us to integrate the card terminal to the epos system or to provide any technical support related to it. A remote access session or a chargeable on-site visit by a technician is usually required to configure and integrate the terminal to the epos system, if you have not already purchased On Site Installation services. Note: The merchant account and secure payment gateway subscription will form a direct contract between you and the service provider. EposSystems.Com is not party to this contract and you are advised to check the full terms and conditions directly with the provider prior to sign up. 14. 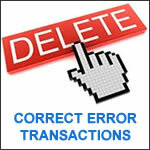 Will I be able to delete transactions without trace? Like with any accounts system, our EPoS systems do allow errors to be corrected at the time or the same day and allow credit notes and invoice adjustments to be posted afterwards provided the user has been granted sufficient permission by the system owner. There will be a sequentially numbered audit trail of each transaction. If you purposefully delete any entries, there will be a gap in the numbering sequence. One of the main purposes of an EPoS system is to provide you with accurate sales analysis data, gross profit reports, accurate stock control and monthly / yearly comparison and trends. Using this information you can properly assess the true performance of your business and make decisions on your stock holding, your sales pricing and on your sales and marketing activities. Deleting actual sales data just defeats several of the primary objectives of having a sophisticated EPoS system and it is not a practice we recommend or support - you may be better off using a simple cash register or a paper-based invoice pad. 15. Where will my data be stored? Your business data for epos transaction will be stored on your own server or master terminal locally at your premises. Our epos systems do not store your data on remote cloud servers where other people or companies may have access to it (which is the case with Cloud Based Systems). 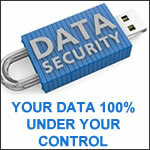 Your sales data, supplier data, prices, customer database, accounting and all other data is exclusively held by you. That makes operation of our systems much faster than any cloud based system. During training, we teach you how to regularly back up your data to an external device to protect against fire, theft, flood, virus, disk failure or other unforeseen damage. You may back up your data to a USB pen drive, a memory card, an external CD/DVD disk, an external hard drive, to your own secure cloud storage or to another computer. You are responsible for backing up your business data. Please contact us if you didnt book training and need instructions for backup. Computer data can get damaged at any time through a number of reasons from virus infection, hardware failure to disk corruption or your equipment may be subject to theft or damage from fire, flood or other catastrophe. You must ensure you back up your data at least daily, maintain a log sheet of each back up, test and label the back up and store it in a safe place. A month-end back up should also be taken, labelled and retained and we recommend it is stored off-site. 16. What else might I need? Our standalone systems do NOT require internet connectivity to operate. But if you have one of our Windows-based systems or back office software and require remote access or multii-site connectivity, or if you are using Integrated Credit Card Processing, then you will require an Internet connection. With the SamStock software or SamView smartphone App, a Static IP address will be required at each site from your internet services provide. 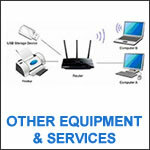 With any of our other systems, any compatible broadband router may be used. If you are providing your own Router, please ensure it has sufficient ports for each till / terminal and back-office PC. If you will be using Wireless Waiter Terminals or Wireless Ethernet Kitchen Printer, then you will require a good quality WiFi signal throughout the areas of your premises where these devices will be used. The quality of your WiFi signal at your premises and its ability to consistently cover all required areas is your responsibility - we recommend you contract a Local IT/Network Specialist to conduct a site survey and recommend suitable position and equipment specification for your WiFi. If you are having multiple terminals and/or a back office PC, then these will be networked together using CAT5 Ethernet cabling. (CAT6 is also compatible). A CAT5 socket will need to be fitted within 1 metre of each till point, with all the cables being run back to the central position where your Routeris installed. You can either use a local electrician or data cabling company to do the cabling, or we can arrange a site-survey and quote you. The cables must be properly terminated with a socket and tested - please do not leave loose wires. We do not recommend using WiFi to connect fixed terminals and PC's - it will operate at reduced speed and there is not the 100% certainty of communication that there is with wired connections. If you are using remote order printers, then an RS232 Serial or CAT5 cable (depending on which printer model/interface you have ordered) will need to be run between one of the terminals and the printers or from the printer to your Router. Please let us know the length of RS232 Serial cable required, and we will make up and supply the correct Serial cable for you. You will need to arrange for a local profesional tradesman to install the cable if it involves any carpentry or drilling work, removing any ceiling tiles, floorboards, skirting boards or fitting any trunking / clipping. If you are using remote kitchen monitor, then a CAT5 Ethernet cable will need to be run to the kitchen monitor system. You may also need a wall bracket or ceiling bracket fitted to hold the kitchen monitor and a shelf to mount the mouse/keypad and a shelf / box to hold the computer unit. Each till / terminal will require a power point. Each receipt printer / kitchen printer will require a power point. Each kitchen monitor system will require 2 power points. Cables are typically 1metre in length, so the power socket should be within that range, and closer if you wish to have a tidy cable run. If you will be using a card payment terminal and counterfeit note detection equipment, they may also require their own power points. If you will be using wireless waiter terminals or handheld mobile scanners, then their charging cradles will also require power points. We always advise the use of fixed sockets, not extension cable or multi-way adapters. It is also advisable to have an UPS (Uninterrupted Power Supply) on the main terminal in case of power cut, power surge or spikes in the supply as these are a common cause of problems that can damage your data, hard drive and/or motherboard. 17. Can you supply internationally to my location? We supply systems all over the UK, the rest of Europe and most countries in the Middle East and Africa. Our systems can either be pre-configured and shipped ready to use with remote training by phone / internet or our consultants can attend on-site to install systems and provide training, subject to payment of our travel expenses and hotel costs where applicable. Please contact us for a quote. For intra-EU purchases, we will not charge VAT if you are are VAT registered in your own country. Orders from outside the EU will also not be charged VAT. In both cases, you will be required to pay shipping costs with insurance and you will be responsible for any local duties and customs charges. There are some considerations for international supply, please note the following. All our systems are designed to operate in the English language only and all supporting documentation is in English only. Where a keyboard is included, this will be a UK format keyboard. However, you may use your own text and graphic images on those system where on-screen menu buttons can be self-configured, and these support the extended character set to support most European languages. We also supply kitchen printers that support Chinese character printing. The currency symbol on receipts, invoices and reports can be defined on most of our systems. You can define your local tax / vat rates with all our systems. With our Web Ordering System for food delivery businesses and the integrated card processing with our epos systems, the card payment gateway is only available to businesses registered in certain countries. Please contact is to check availability for your country. In some countries, the law requires use of fiscal systems only. We do not supply fiscal systems. If you order a conventional system from us for use in a country which only allows fiscal systems, then we will not be able to subsequently accept any cancellation or provide any refund or be responsible if your system is confiscated and not allowed to be used by the local authorities. All our equipment is configured to work on a 230v 50Hz electrical supply and our power cables are fitted with 3-pin UK plugs. You will need to use plug adapters in your country where necessary. Where there is not a stable power supply, we advise the use of generators and UPS backup power supplies to prevent corruption of your data and/or damage to your equipment in the event of unexpected power cuts, surges or spikes. 18. How do I order an EPoS System? 1. Please contact us by phone or email or complete the Buy Now form. One of our consultants will go through your system requirements with you, advising the most suitable solution (arranging a demonstration if necessary) and specifying the appropriate peripherals, accessories, consumables, add-on software modules, programming, staff training and support services. 2. We will then issue you a formal Quotation for the complete package with hardware, software and services. 3. If you accept the quotation, we will send you a Proforma Invoice for payment and, if applicable, reserve an installation / training date for each of your sites. 4. We will email you the Programming Form and Training Agenda / Staff Profile Form. If you require optional on-site installation and training, we will also email you the Site Installation Requirements for power points, surface areas, router and network cabling. 5. We will ship the equipment to you by courier or if you have booked on-site installation and training, the installer / trainer will bring it with them. Following the training, the consultant will reset your system (removing any test data) ready for you to start operating. If you will be using stock control, you may need to set your opening stock levels. If you are a retail operation and didnt send us your full product list, then you may need to complete set up of all your products / barcodes / prices before being able to go live with the new system. If you purchase a system without installation and on-site training, then we can offer telephone or remote online training on certain systems. We we will ship out the system to you and then upload the program setup remotely, and run through any initial set up and operational advice with you by phone and email.